E3 is built upon hype, which makes it important to look back at press conferences after they are done. Often times, disappointing shows aren’t nearly as bad as people thought they were in the moment, and impressive ones are less captivating once the announcements are dissected. This year, Sony had a good showing, but one that failed to captivate like years prior. This can be attributed to a lot of factors, one of which being Sony backing itself into a wall in previous years. There’s no way to top some of the shocking game reveals of the past, and it almost seemed like the PlayStation team was aware of that. 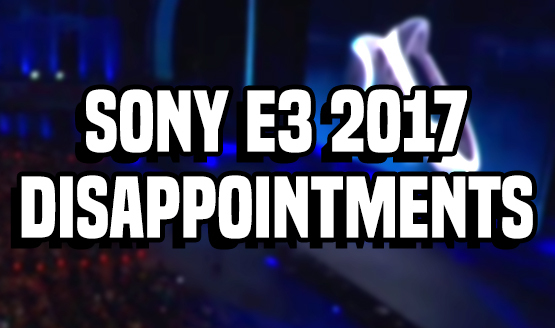 To take a closer look at how the Sony press conference turned out, we came up with a list of the 10 biggest E3 2017 disappointments from PlayStation’s presser. Check them out below! We hope you enjoyed our look at 10 disappointments from Sony’s E3 2017 press conference. While this article highlighted some of the less spectacular moments from the press conference, it’s worth remembering that the show was still a solid showing overall. Sony made the smart decision to focus on games that’ll soon be in the hands of gamers (nothing beyond 2019 was shown), which seems to be a smart call considering how much blowback Sony has received in the past. There’s probably a more happy medium between announcing games too early and not showing them at all, but they’re still working towards that. Let us know what you thought of our list in the comments below, and what the biggest E3 2017 disappointments were for you!